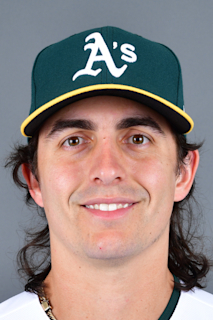 Nombre Completo: Brent Lee Honeywell Jr. Draft: 2014, Tampa Bay Rays, CBBth rd. While Brent missed the 2018 season recovering from Tommy John surgery, he sat in the dugout of Class-A Charlotte games as often as his rehab schedule permitted…former Rays and Tommy John veterans Nathan Eovaldi and Jonny Venters provided fantastic insight and encouragement during the recovery process...He eats, breathes and sleeps pitching…he loves to watch Max Scherzer, Blake Snell and Corey Kluber pitch and is "pumped" to work with Charlie Morton this season and soak in all the knowledge he can...Brent graduated from Franklin County High School in Royston, Ga. …when he makes his debut, the school will have produced two major leaguers: Brent and Ty Cobb...His father, Brent Sr., played for three seasons in the Pirates minor league system…Brent Sr. pitched for Saint Leo University under coach Mike Marshall, who won the Cy Young Award as a reliever with the Dodgers in 1974…his father learned how to throw a screwball from Marshall and passed it on to Brent...Growing up, Brent threw bullpen sessions to his father three times a week…on one Friday evening in 10th grade, Brent Sr. simply refused to catch him and said: "If you don't have it figured out by now, you're in trouble"…this was a turning point in his development as a pitcher and forced him to improve by stepping out of his comfort zone. Exited a live batting practice session in spring training with right forearm tightness, later diagnosed as a torn ulnar collateral ligament...underwent Tommy John surgery on Feb 27, performed by Dr. James Andrews in Pensacola, Fla....Ranked by Baseball America as the No. 23 overall prospect in the minors following the season… was the No. 2 prospect in the Rays system…the publication also tabbed him as having the Best Changeup in the organization. Went 13-9 with a 3.49 ERA (136.2-IP, 53-ER) in 26 starts between Double-A Montgomery and Triple-A Durham, earning an April 16 promotion after 2 starts with the Biscuits. Tied for 5th in the minors and led Rays minor leaguers with a career-high 172 SO, the most in the Rays system since Matt Moore (210) in 2011… tied for 2nd among Rays minor leaguers in wins, one shy of José Mujica (14)…ranked 9th in ERA... Led International League starters with a 11.06 SO/9 IP ratio…according to FanGraphs, generated swings-and-misses on 14.3 pct. of his pitches, highest in the league…ranked 2nd in the IL with 152 SO, behind teammate Ryan Yarbrough, and tied for 3rd with 12 wins... Was the starting pitcher for the U.S. team in the Futures Game in July at Marlins Park… became the first pitcher in the 19-year history of the game to win the Larry Doby Award as the game's Most Valuable Player…recorded 4 SO in 2 IP and his only hit allowed was a 2nd-inning single by Rafael Devers... Went 1-0 with a 2.19 ERA (12.1-IP, 3-ER) in 2 IL postseason starts for the Bulls…got no-decision in the Bulls series-clinching win in Game 4 of the IL Semifinals at Indianapolis (Pirates)… recorded 10 SO and did not allow a run over 6 IP of Game 3 in the Governors' Cup, giving Durham a 2-1 series lead over Scranton/Wilkes-Barres (Yankees).... Pitched out of the bullpen in the Bulls win over Memphis (Cardinals) in the Triple-A National Championship Game…did not allow a run in 2.2 IP before giving way to closer Diego Castillo... Named to the Rays Organizational All-Star Team by MLB.com... Ranked by Baseball America as the No. 14 overall prospect in the minors following the season, up from No. 30 the year prior…was the No. 1 prospect in the Rays system and No. 4 prospect in the IL…the publication also tabbed him as having the Best Changeup in the IL in its Best Tools survey. 1 de abril de 2019 Durham Bulls ponen a RHP Brent Honeywell Jr. on the 7-d&iacute;a lista de lesionados. 9 de marzo de 2019 Tampa Bay Rays opcionado RHP Brent Honeywell Jr. para Durham Bulls. 1 de octubre de 2018 Tampa Bay Rays llamado RHP Brent Honeywell de Durham Bulls. 5 de abril de 2018 Durham Bulls ponen a RHP Brent Honeywell on the 7-d&iacute;a lista de deshabilitado. 10 de marzo de 2018 Tampa Bay Rays opcionado RHP Brent Honeywell para Durham Bulls. 20 de noviembre de 2017 Tampa Bay Rays seleccionado el contrato de Brent Honeywell de Durham Bulls. 3 de septiembre de 2017 Durham Bulls activan a RHP Brent Honeywell. 28 de agosto de 2017 RHP Brent Honeywell estado en la lista cambian a por Durham Bulls. 15 de julio de 2017 Durham Bulls activan a RHP Brent Honeywell de la lista temporalmente inactiva. 8 de julio de 2017 Durham Bulls ponen a RHP Brent Honeywell en la lista de inactivos temporalmente. 16 de abril de 2017 RHP Brent Honeywell asignado a Durham Bulls de Montgomery Biscuits. 7 de julio de 2016 RHP Brent Honeywell asignado a Montgomery Biscuits de Charlotte Stone Crabs. 25 de junio de 2016 Charlotte Stone Crabs activan a RHP Brent Honeywell de la 7-d&iacute;a lista de deshabilitado. 20 de mayo de 2016 Charlotte Stone Crabs ponen a RHP Brent Honeywell on the 7-d&iacute;a lista de deshabilitado. 25 de junio de 2015 RHP Brent Honeywell asignado a Charlotte Stone Crabs de Bowling Green Hot Rods. 6 de abril de 2015 RHP Brent Honeywell asignado a Bowling Green Hot Rods de Princeton Rays. 20 de junio de 2014 RHP Brent Honeywell asignado a Princeton Rays. 17 de junio de 2014 Tampa Bay Rays firmado RHP Brent Honeywell.